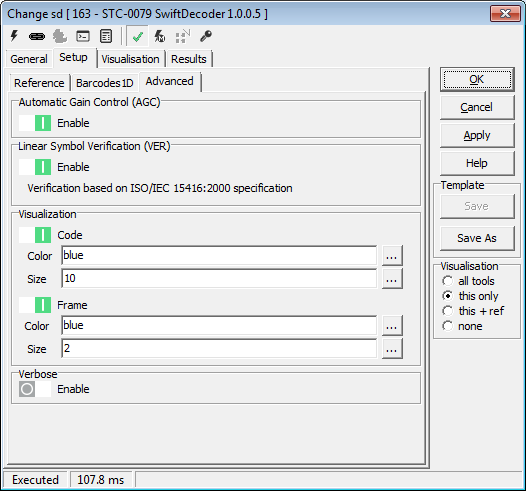 We are happy to present a new Scorpion Tool Components STC-0079 Swiftdecoder that provides access to the cutting edge barcode technology from Omniplanar. The component implements the SwiftDecoder and SwiftVerify products for 1D or linear codes. This provides the option of powering your Scorpion Vision Compact Vision System or your Scorpion Vision Software solution with proven and state of the art bar code reading technology from a market leader. The following linear codes can be decoded. 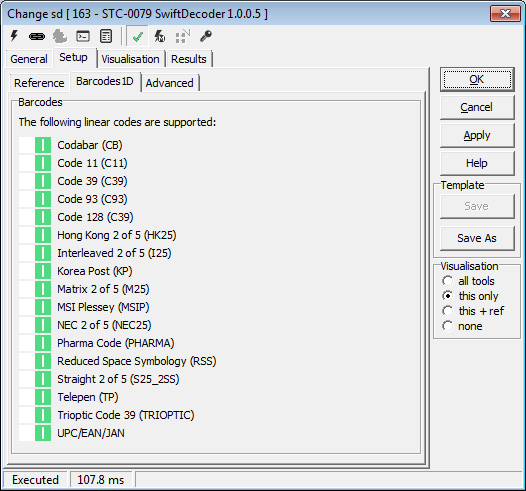 The STC-0079 SwiftDecoder is available with Scorpion Vision X.I release.